Red blood cells (RBCs) are responsible for maintaining the proper circulation of the blood all throughout the body. These blood cells carry a hemoglobin protein component which serves as the catalyst in transporting oxygen and carbon dioxide to the rest of the body. An individual experiencing several symptoms due to lack of red blood cells are believed to suffer from an anemic condition. There are 2 reasons why a person has an anemia. First, it can be inherited from the parents through the genetic makeup of the human. Second, it can be acquired during the life cycle of a person. Either it is acquired due to eating habits, sleepless nights, and poor exercises or it may also obtain from accidents and injuries. To explain this further, you may refer to the information below. Blood loss, cell degeneration, and cell destruction are the common causes of an anemia. This condition takes place when the hemoglobin that carries the RBCs becomes dysfunctional and inefficient to supply the body with oxygenated blood. In this case, the individual may start experiencing different symptoms that may escalate to an anemic condition. Generally, an anemia has four types which include Folic Acid Deficiency, Sickle Cell, Hemolytic, and Aplastic Anemia. Every typehas their own symptoms and treatments. It also depends on the degree of risks associated with these conditions on what treatment to apply to a patient. Treatments may vary from medical supplements, steroids, therapeutic sessions, hospitalization, and surgical. What are the common causes of anemia? The breakthrough of advanced technology has determined the different causes why a person suddenly experiences anemia. 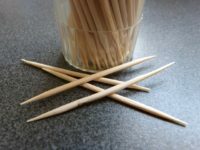 The vast studies conducted for several years ago until the latest generation has gathered abundant information to attest the origin of this condition. As mentioned above, the anemia is composed of 3 common causes, namely blood loss, cell degeneration, and cell destruction. In every category, the causes might root from mild to severe. From a blood loss, a person may suffer from anemia due to gastrointestinal conditions, gastritis, cancer, ulcers, hemorrhoids, and menstrual bleeding. It is also proven that often use of ibuprofen, aspirin, and other non-steroidal and anti-inflammatory drugs may lead to blood loss. Basically, the red blood cells are produced in the bone marrow as premature cells. The kidney will produce a hormone to control the production of the RBCs, this hormone is referred to as the “erythropoietin”. The cell degeneration occurs when the bone marrow becomes deteriorated and it will produce lesser RBCs. In some conditions, the WBCs may outnumber the red blood cells, thus, it may lead to the formation of leukemia. For the third cause, anemia may also arise due to cell destruction. A healthy living cell may become weak and damage for some reasons such as infections, toxins from liver diseases, severe hypertension, prosthetic heart valves, vascular grafts, autoimmune attack, antibiotics overuse, snake or spider venom, spleen enlargement, and blood clotting disorder. 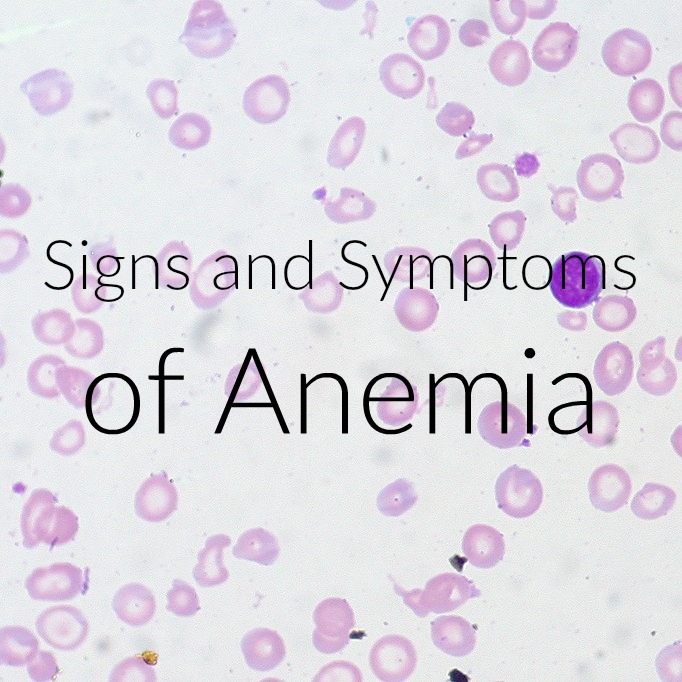 By knowing all the common causes of anemia, you may now have the idea of, where does this condition originate and specify the proper treatment for these conditions. Generally, the anemia has several symptoms depending on the cause of the condition. To enumerate some of the symptoms, these include chest pain, headache, and pale skin, loss of blood in the eye areas, and lips, irregular heartbeat, diarrhea, fever, irritability, abdominal pain, and shortness of breath. There are four types of anemia based on the severity and degree of the condition, namely Folic Acid Deficiency, Sickle Cell, Hemolytic, and Aplastic Anemia. For every type, there are corresponding symptoms. It is important to know the different types of anemia to grasp sufficient knowledge regarding their severity, treatments, and origin. Here is the fundamental information regarding these blood disorder conditions. A folic acid deficiency anemia refers to a condition wherein the necessary element to produce new RBCs become insufficient. The folate, folic acid, or also known as Vitamin B9 is the responsible element that makes up the regeneration of the blood cells. When the bone marrow becomes reluctant to produce RBCs, the hemoglobin becomes inefficient to supply the body with oxygenated blood. This common condition is known as the hemolytic anemia. On the other hand, the aplastic anemia takes place when the hematopoietic stem cells and bone marrow become severely damaged. The production of all blood cell types will become weak and premature cells start to develop. This is a very rare disease among the population and this condition arises to inability of the cells to evolve mature blood cells. This anemic condition may lead to death if not treated properly and immediately. There were also some instances wherein there’s a need for a transplant to make the marrow restore its normal functions. Lastly, the sickle cell disease is a biological disorder wherein the individual inherited abnormal hemoglobin and it generates irregular shapes of red blood cells that resemble a crescent or a sickle shape cells. This is the most serious anemic condition because the RBCs does not last than the usual blood cells. In such case, it may lead to a blockage of the blood flow and eventually damage the organs. This genetic blood disorder can still be treated if an immediate medical attention is put into place. Is autoimmune hemolytic anemia a chronic condition? The hemolytic anemia is already being discussed based on the foregoing explanations. However, what makes an autoimmune hemolytic anemia distinct from an ordinary hemolytic anemia? The main difference between these two anemic conditions is the dysfunctional immune system and the mobility of the antibodies within the human’s body. An individual may experience autoimmune hemolytic anemia symptoms which include paleness, shortness of breath, abdominal discomfort, jaundice, tiredness, fever, swollen lymph nodes, headache, vomiting, diarrhea, and dark urine. An autoimmune hemolytic anemia occurs when the immune system starts to produce antibodies which fight the foreign invaders in the body. However, instead of targeting the viruses and bacteria, the antibodies will attach the blood cells. This anemic condition may become chronic if not properly treated. As much as possible, the individual suffering from these symptoms must seek professional medical advice in order to prevent any occurrences of severe diseases. I was not aware of this information about anemia. It is important to be educated about health issues like this that can occur but be treated.